EPA Made began in 2014. The founders had a vision to create a social/justice enterprise that would incubate and launch social businesses to level the economic playing field. Their storefront, EPA Shop, focused on working with single mothers from the East Palo Alto community to increase their job readiness skills and economic potential. We are excited to announce that EPA Made is under new leadership. 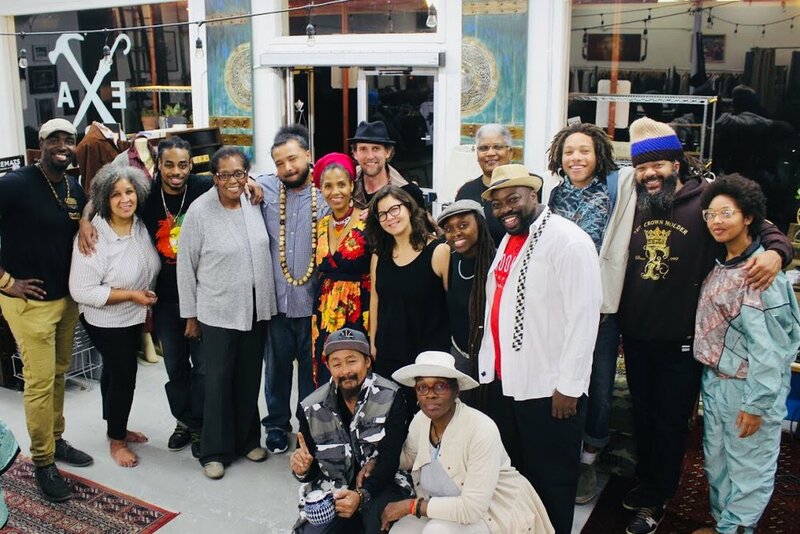 The vision is expanding to include the development of educational tracks that highlight practices of sustainable living and minimal waste for East Palo Alto youth. Message: EPA Made inspires artistic expression through sustainable practices. Upcycling, repurposing and passing on the baton of Social Justice activist to a younger generation of artists and entrepreneurs. Impact: Increasing upcycling cuts costs, reduces landfill waste, lowers CO2 emissions (for every ton of discarded textiles that is recycled 20 tons of CO2 is prevented), inspires creative process and collaborative thinking, preserves precious resources. Legacy: Decisions we make today will result in a more sustainable world and more sustainable relationships several generations into the future.